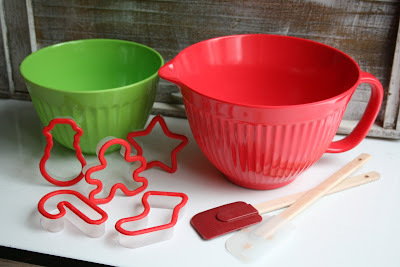 As we gear up for this cookie season I thought I'd do a giveaway to prepare one of you with some fabulous cookie making tools. The giveaway includes a melamine (that means no breaking :) 4 quart batter bowl, melamine mixing bowl, two silicone spatulas, and five Christmas cookie cutters. 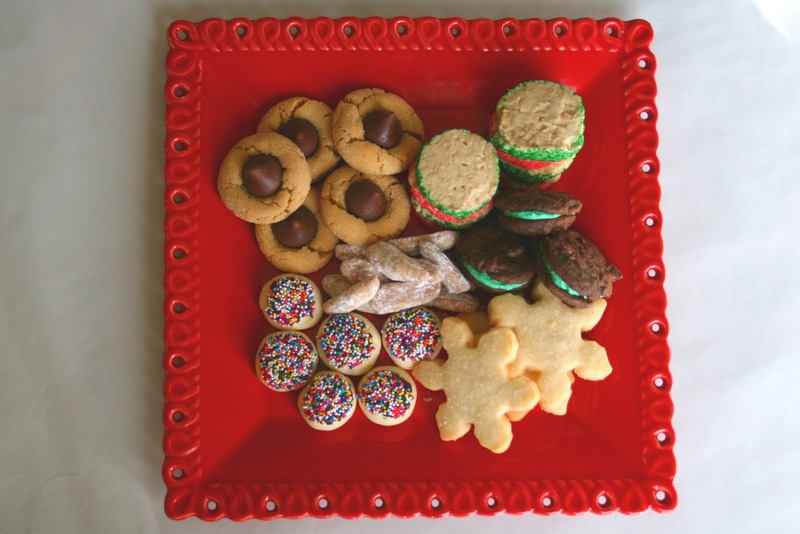 What is your favorite Christmas treat? Winner will be drawn at random & announced Tuesday (December 13th). One entry per person. U.S.A. residents only. 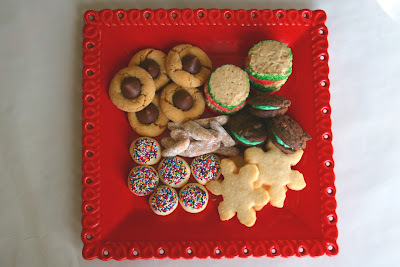 I'll be posting more Christmas cookie recipes this month, but here's one past post to get you started. My favorite Christmas treat are buttery Spritz cookies! They are so fun to make and super yummy, too! Short bread cookies with seedless raspberry jam in the middle. has to be sugar cookies with cream cheese frosting! 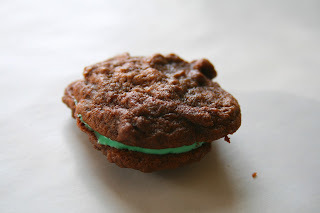 My recent new favorite is pecan lace cookies with orange buttercream! My favorite is the peanut butter cookies with the Hershey's kiss in the middle!